Speakers included elected officials from New York State, among them: State Senators Ruben Diaz Sr., John Flanagan, and Martin Golden; and Assemblymen William Scarborough and Eric Stevenson. Charter Parent Action Network (CPAN) Director Valerie Babb served as emcee, and students and teachers from various schools shared their experiences and talents with the audience. Albany media and NYC-based GothamSchools covered the event. 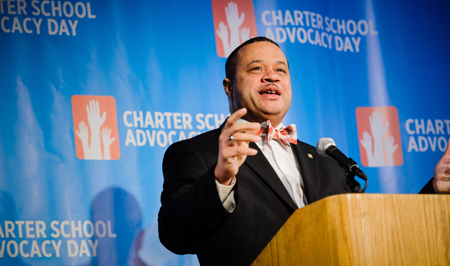 Throughout the day, participants held about 60 meetings with elected officials and their staff members, asking them to support fair funding and allow charter schools to compete to provide full-day pre-kindergarten services. Assemblyman Eric Stevenson speaks to attendees. 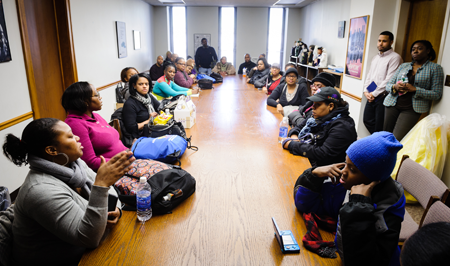 Parents from Harlem Children's Zone speak with staff members of Assemblyman Keith Wright. 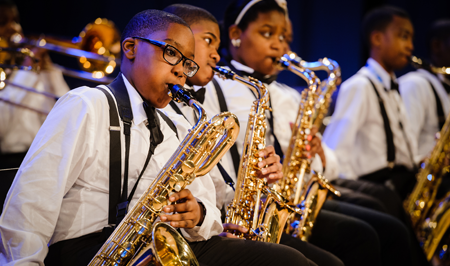 The KIPP AMP Jazz Ensemble gives a rousing performance at Charter School Advocacy Day 2013.